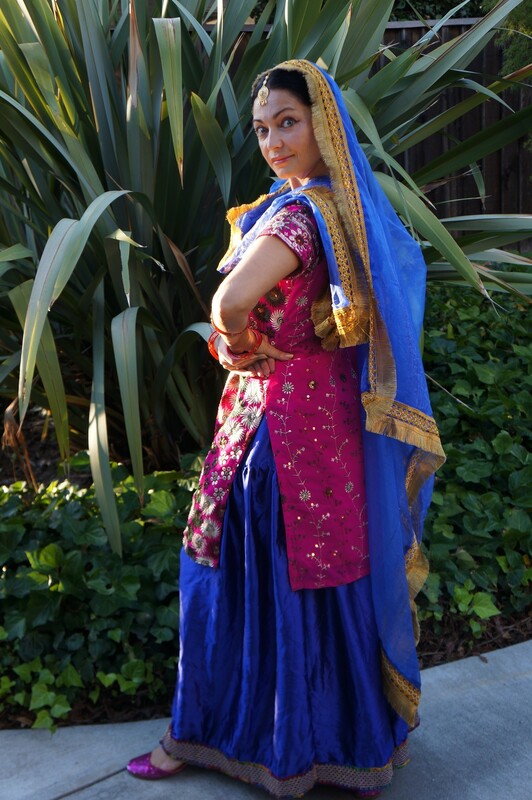 More Details: Giddha is a popular Lawk Naach from the Punjab specifically for women. 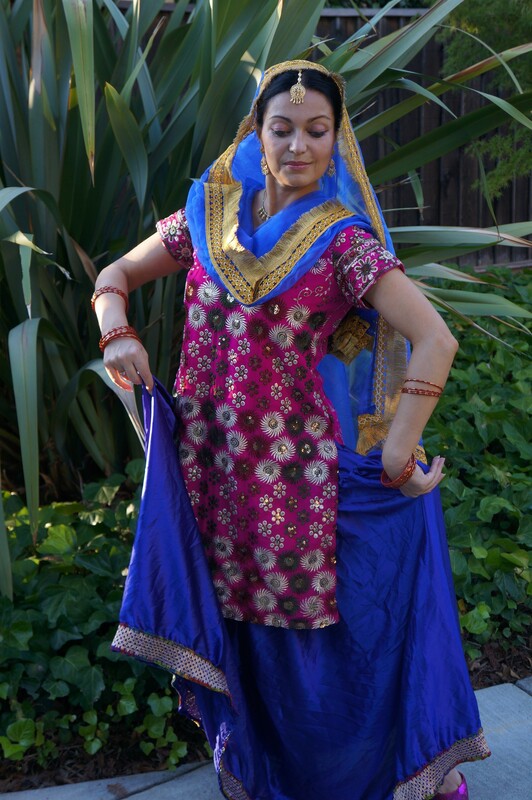 It is derived from an ancient ring dance, which was performed by Punjabi women at social gatherings. 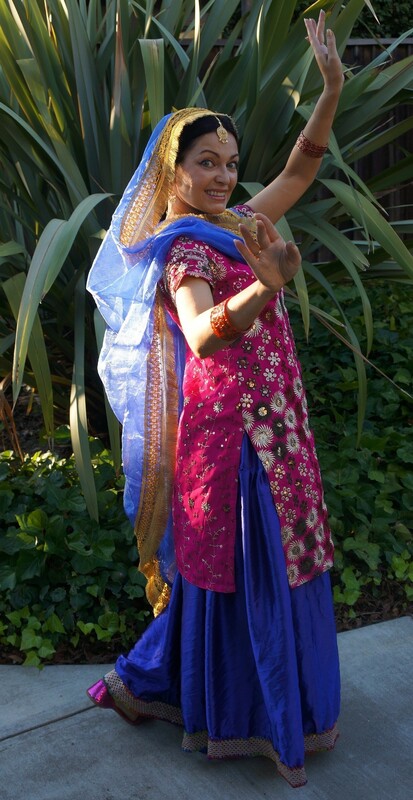 Like its male counterpart Bhangra, Giddha is a bright, colourful and energetic dance which is usually performed to rhythmic clapping and (traditional folk songs). 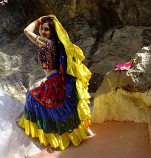 The Gidha costume are more fancy long kameez with most decoration. 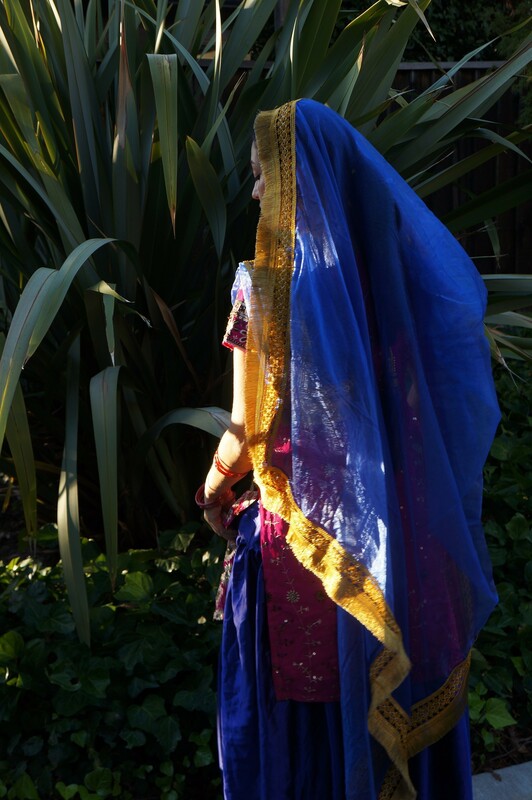 important part of Gidha costume.